It’s hard to imagine the world of children’s literature without R. L. Stine. He might not have invented kids’ horror, but he certainly defined it for an entire generation and then some. 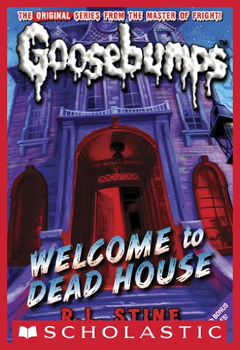 In late 1996—four years after the first Goosebumps title, Welcome to Dead House, was published—the series was racking up an incredible 4.5 million book sales per month, with as many as 40 product licenses churning out toys, television shows, audio books, apparel, and more. 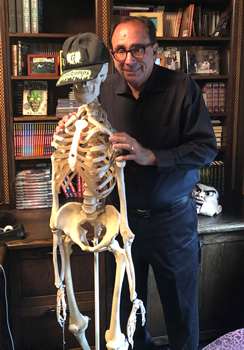 After 26 years, several spinoffs, and 400 million copies sold, Stine is still writing new Goosebumps novels. But for all the series’ success in other mediums, a big-screen adaptation proved elusive for decades. 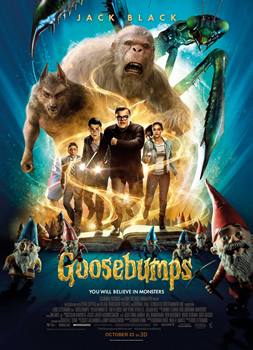 Stine saw 23 years pass between Hollywood’s first attempt at a Goosebumps film and the premiere of the Jack Black vehicle that finally hit screens in 2015—a period marked by false starts, personnel changes, and well over a dozen rejected scripts. The process was so protracted, in fact, that Stine says he mostly forgot it was happening. The problem with a Goosebumps film wasn’t the one that typically plagues big-screen book adaptations. No one had to be sold on the property’s box-office potential; it’s the second bestselling book series of all time, topped only by Harry Potter. Back when Fox was still trying to sort out its feature version in the ’90s, Goosebumps logged more than 32 million book sales in a single year, with its licensed apparel line hauling in an additional $40 million. In 1996, Taco Bell moved six million Goosebumps toys in roughly one month during a Kids Meal promotion; Frito Lay stuffed 32 million copies of the Goosebumps Thrillogy mini-books into chips bags as premiums. By any standard, Goosebumps was a cultural phenomenon, and its reign stretched from bookstores to supermarkets to the TV Guide. What kept Goosebumps off the multiplex marquee, it turns out, was more of a creative challenge than a financial one. Stine’s compact, easily digestible installments lent themselves beautifully to the episodic TV market, but studios feared they were too slim for a 90-minute, big-budget adaptation. 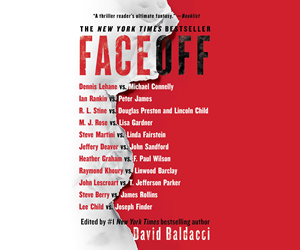 On top of that, the sheer volume of titles was daunting: with 62 books in the original series, producers and screenwriters couldn’t decide which story—or, to put a finer point on it, which monster—should get the feature treatment. The answer, it turns out, was why choose one? Stine, a former comedy writer whose books feature a kid-friendly blend of horror and humor, is joking—mostly. But he’s careful to keep a healthy distance between his work as an author and the screen adaptations based on his books. 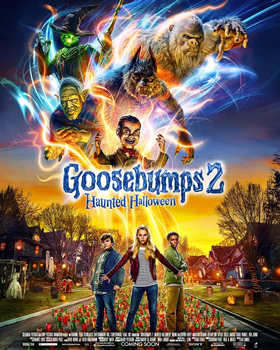 In fact, Stine says he had little input in the two Goosebumps movies that have been produced so far. When it comes to the features, the series’ interests are mostly represented by Stine’s wife, Jane—his longtime editor and a principal of Parachute Press, the company that launched Goosebumps in 1992. Stine isn’t permitted to say much about “Goosebumps 2: Haunted Halloween,” opening nationwide on October 12. The sequel, which finds Slappy the dummy trying to usher in a “Halloween apocalypse” by bringing holiday decorations to malevolent life, features a new cast, including Wendi McLendon-Covey (TV’s The Goldbergs) and Madison Iseman (Jumanji: Welcome to the Jungle). 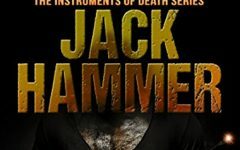 Jack Black is widely expected to reprise his role as a fictionalized version of Stine, but the author isn’t at liberty to confirm. Both Goosebumps films have met with Stine’s approval, and he says he’s been lucky with adaptations of his work over the years—a sentiment that might come as a relief to writers who’ve read too many adaptation horror stories. Stine also points out an invaluable benefit of screen adaptations (especially from the kidlit realm) that’s often overlooked. Even though Stine admits it’s getting harder to come up with ideas for new installments, the Goosebumps films have breathed new life into his 26-year-old franchise. He’s just signed on for six more—though with a notable twist inspired by the success of the movies. The success of Sony’s Goosebumps films also bodes well for another potential wave of Stine adaptations: Fox is developing three Fear Street movies based on the author’s recently revived young adult horror series. (Stine says the studio hopes to release the films in three consecutive summer months, potentially with R ratings—a move that would put them out of reach for most of the books’ intended readers, but might stoke the interest of adult horror fans who cut their teeth on the series years ago.) Stine is also writing several graphic novels for BOOM! Studios, which will be released through the company’s middle-grade imprint, KaBOOM!, beginning in fall 2019. As for the decades it took to usher Goosebumps to the big screen, Stine says the long runway worked in the films’ favor, essentially ensuring two audiences rather than one. 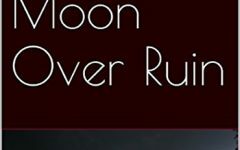 And anyway, Stine points out that other writers have fared worse when it comes to seeing their work progress to the big screen. Susan M. Boyer’s Liz Talbot mysteries have been optioned for television by Bohemia Group Originals after the company’s CEO discovered the first installment at the L.A. Times Festival of Books. 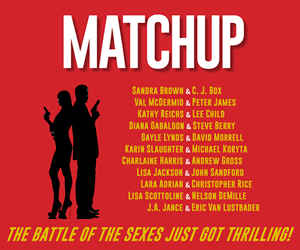 The series, about a female P. I. based in South Carolina’s Lowcountry, launched in 2012 with the Agatha Award-winning Lowcountry Boil and continued this year with a seventh entry, Lowcountry Bookshop. Grey Matter Productions and Topic Studios are developing a television series based on Mary Kubica’s bestselling 2014 debut, The Good Girl. Oren Moverman, who recently ushered Herman Koch’s The Dinner to the big screen, is set to adapt and direct Kubica’s twisty tale of a kidnapping gone wrong. Karin Slaughter’s latest standalone, Pieces of Her, is making its way to television courtesy of Made Up Stories and Endeavor Content. Five-time Emmy nominee Lesli Linka Glatter, whose credits include Homeland and Mad Men, is set to direct, with Charlotte Stoudt (Homeland, House of Cards) on board to script the adaptation. The dual-timeline thriller, about a woman who must scour her mother’s shadowy past to root out a deadly conspiracy, joins several other of Slaughter’s projects already in development for film and TV, including 2014’s Cop Town and 2017’s The Good Daughter. Got ITW member adaptation news you’d like to submit for possible coverage in The Big Thrill? 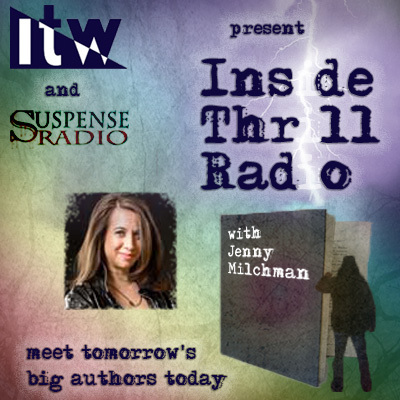 Email me at april@thrillerwriters.org.